Weber’s Model 5300 Split-Tamp system makes it easy to print and apply labels around a corner for products like medical device packaging. When you need to wrap a variable data label around the corner of a package for use as a closure, the Model 5300 Split-Tamp can handle the job. Weber’s specially designed tamp pad has two separate surfaces that hold the label after it’s printed. The entire tamp pad moves toward the package, blowing the label onto the surface with a small edge of the label hanging over the side. The split part of the tamp pad then continues on past the side of the package, securing the label around the corner. 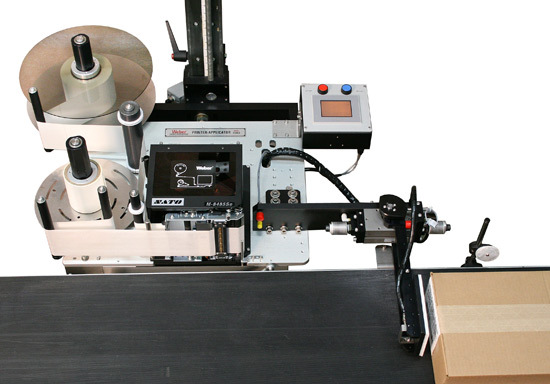 The 5300 Split-Tamp system prints and applies a readable label on two sides of the package as well as securing the opening of the product with a tamper-evident seal. Standard direct- and thermal-transfer print engines from manufacturers Zebra, SATO and Datamax can produce text, bar codes and graphic images at 203, 300 or 600 dpi. The Model 5300 Split-Tamp system’s print engines output labels up to seven inches wide and up to twelve inches long with the standard configuration (longer label lengths available). To keep pace with high-volume, high-speed production lines, compatible print speeds vary from two to 16 ips. The Model 5300 split-tamp system includes a number of noteworthy features that add to the operational versatility of this printer-applicator. • Air-blow application. 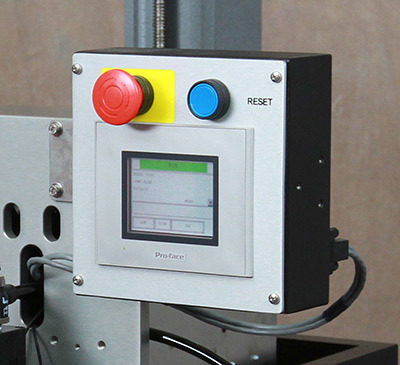 This is method of air-assisted, fixed-distance label placement can be used with standard applications. A printed label is fed into place and held by vacuum, then it is blown onto a product or package to a placement accuracy of ±0.03". 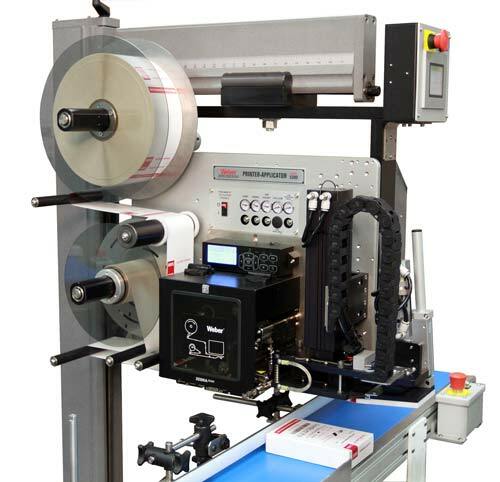 The Model 5300 split-tamp label printer applicator boasts numerous additional features as well, including an upgradeable microprocessor controller, various inputs/outputs, plus durable construction that will withstand harsh industrial environments.